I attended my first Natural Hair event this weekend and what an experience! As you may know, i started my healthy hair journey at the end of 2016. Natural is something i have always been, but the neglection was real. 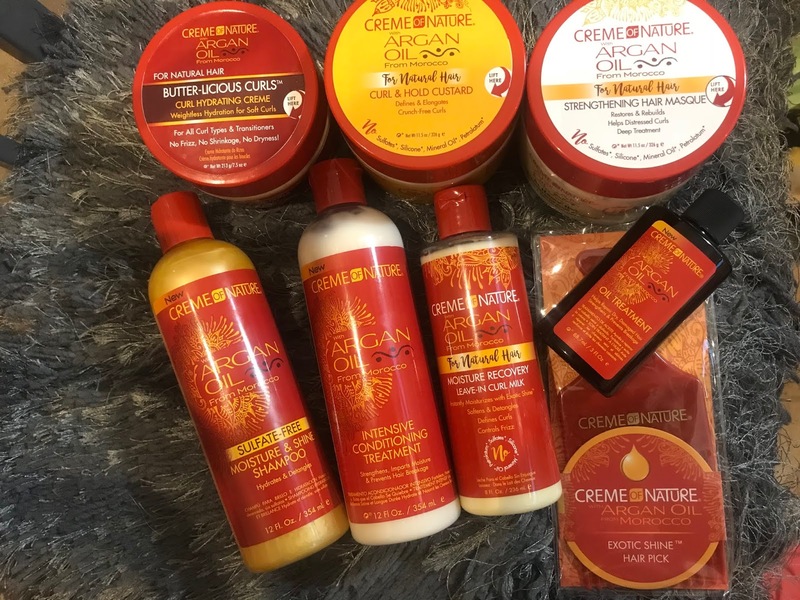 I have become alot more involved in the natural hair scene, with regular blog posts, product reviews and youtube videos, so i thought it was about time that i hit up some of these events. The sad part is, that living in Manchester, it means a 5 hour drive or nearly £90 on a train to get to these events. Hosted only in the capital, it is a long way to go. Thankfully i have a fiance who understands me. He willingly drove the way there. Getting there was eventful in its self. I woke at 5:30am ready to be leaving at 7. Breakfast and petrol top up, the sat-nav had us down to arrive for 10:45am, which was perfect as the event started at 10:30am. Yes, i know that doesn't mean you have to be there by then, but i did not want to miss out on any deals. I slept half the way there, and then woke up to find we were in standstill traffic. Apparently an accident had happened further up, and the motorway wasn't due to reopen until 12pm. It was only 9:30am! This traffic lasted for nearly 2 hours. Another girl i was meeting at the event was also stuck in it. Thankfully no one was seriously hurt in the crash and the traffic soon moved on again. We were able to go on line and change our parking reservation. When i arrived at the event i started to feel nervous. From experience, girls don't usually like me. And i suddenly started to panic that trouble was going to start. Then i remembered, the natural hair community are the opposite. We love each other! Getting into the venue, i already knew which stalls i was going to be going to. I had been looking forward to this all week so i had of course done my research! There were so many brands there. Some i had heard of, some i had not. It was all very exciting! It was so great to see Aunt Jackies, Mix-d, Cantu, Palmers and so many more, have stalls set up. Not only that but the bargains that were happening were beyond what i expected. 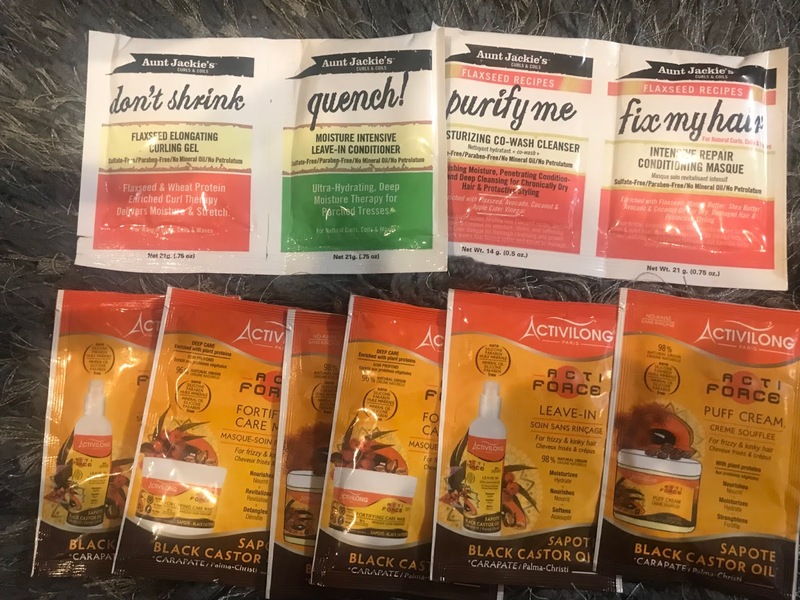 It wasn't just these brands i had heard of which got me excited, it was brands which i was excited to try to such as Creme of Nature, Asiam and more. These brands i have used before, and was dying to get my hands on some more from. On top of that! Yes, there is more. You could also purchase head wraps, teeth whitening kits, cooking books, clothes, hair accessories, books, all sorts, on the downstairs level of this event. All sorts of vibrant colours attracted attention as you walked in and there was a buzz in the air. At the far end of the main floor, was a runway which featured fashion shows, dancing, kids competitions, and talks from the brands on how to properly care for your hair. At each stall different demonstrations were taking place, showing things from regular styling, to blowing out hair, Bantu knots and how to properly use the products to get the most out of your hair. The stall hosts were all very polite and offered advice to anyone who had a question for them. Having never been to a hair event before, i didn't really know what to expect, and i was in awe of how much stuff was going on. I didn't know where i wanted to look. My fiance, who had driven me here (against his will he pretends) even found stuff which interested him as he is a barber. There as plenty going on for him to watch too. As i am a subscriber for Treasure Tress, i had access to the "Kink Back lounge". 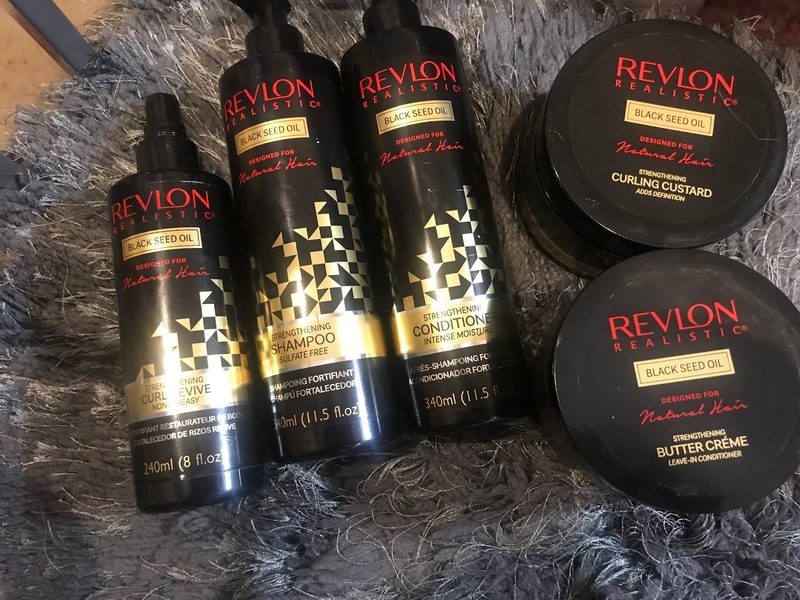 This was an area reserved for subscribers where you could get refreshments for free, cakes and drinks, as well as get your nails done, and get a free goodie bag which featured some products from this months box. This room was so much cooler than the rest of the event, so it was nice to get out of the heat. Photos and fun and games were played in this room, and it is where i bumped into one of my first curlfriends from instagram! Also on the top floor but the opposite side was a cafe. Here you could purchase drinks and food such as Jerk Chicken with rice and peas and gravy, Macaroni and Cheese, and Salmon. Again on this floor it was alot cooler so what better way to relax for a while. I met some more lovely girls who i follow on instagram, but foolishly forgot to take any photos as we were too busy chatting about what products we had brought and what we would be buying next. It was my first time meeting these girls and it was as though we had known each other years! The power of the instacurl family! Walking around the stalls, you could also spot a famous face or two helping out. Abbie is a fave of mine who's videos i am always watching. I was a little shy to ask for a photo first and she must have thought i was a weirdo staring over when i passed, but i eventually worked up the courage to speak to her and she was absolutely lovely. So i know the main thing you're scanning this article, you want to know which goodies i got right? So the first stand i visited, was the Aunt Jackies stand. I recently got some products by this brand in my CurleeBox and i have been loving them. I wanted to try out some more so this was my first stop. The deal was great, it was 3 for £10 on all products. The co-wash i didn't realise was something i already had at home from my Curleebox, because at the stand the woman kept referring to it as the shampoo, and so i thought they were two completely different products. 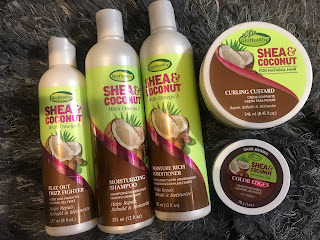 I did a full review on this range from one of my hair boxes and it can be found by clicking this link. I actually haven't seen this anywhere and so i needed to get my hands on some. 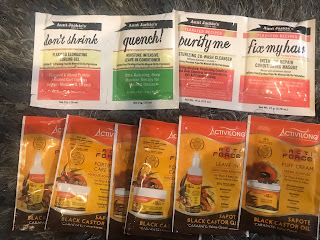 I haven't had the edge gel before but i was in love with the results i had from using the rest of the range and so i am excited to have this back on my shelf. 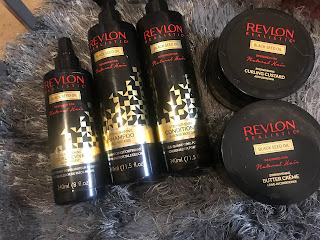 Another brand which i got in a Treasure Tress box and loved, but haven't seen anywhere! In my last set of this brand, i got the same things except i got the twisting butter instead of the curling custard. As i don't really do twists it was the one product out the selection i didn't use. I saw Shannon aka UKCurlyGirl get the curling custard in her selection, and the great results and so i am so excited to have it this pack. I even got a satin scarf which i have been wearing to bed and it actually stays put all night! I have even worn it in the daytime for work. I have used only a few products by Creme of Nature before. It is a brand with a few different ranges. I have reviewed and used the Pure Honey range from CurleeBox and the Coconut Milk and snot gel from TreasureTress. This brand had 2 amazing deals on, and i just couldn't choose between them, so my fiance gave me the encouragement i needed (LOL) and i got both! I am so excited to try these out. I loved the snot gel (for edges only) and i have never done a hot oil treatment so i can't wait to see how this works for me. On top of these amazing deals, there were so many samples available at stalls even without a purchase. I got some goodies from aunt jackies as i was queueing to pay, and also these from Activilong Paris. 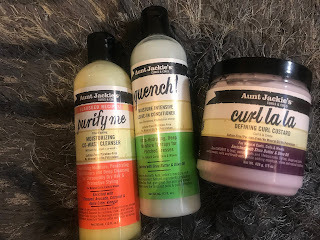 I got the puff creme, the hair masque and some more of the leave-in conditioner which i loved. I will definitely be at the next one, ready to get some more deals and meet up with some more curlfriends! Did you go to the event? Will you be there next year? Remember to please check out these brands for yourself by clicking on the various links as well as following me @Candi_Curls.